Relief for Sciatica Pain? Can this be real? We’ve got some sciatica stretches to relieve your pain and get you back to living. Sciatic nerve pain is one of the most excruciating and debilitating conditions you can experience. 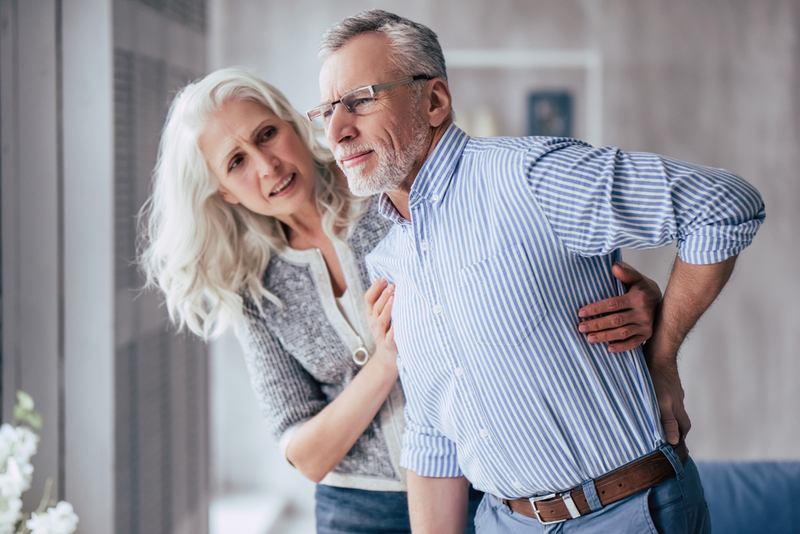 The pain can be so severe that you may not be able to move once you’ve found a position that is relatively comfortable. Sciatic pain is commonly caused by spinal stenosis (narrowing of the spinal cord canal), a disc rupture, or an injury. 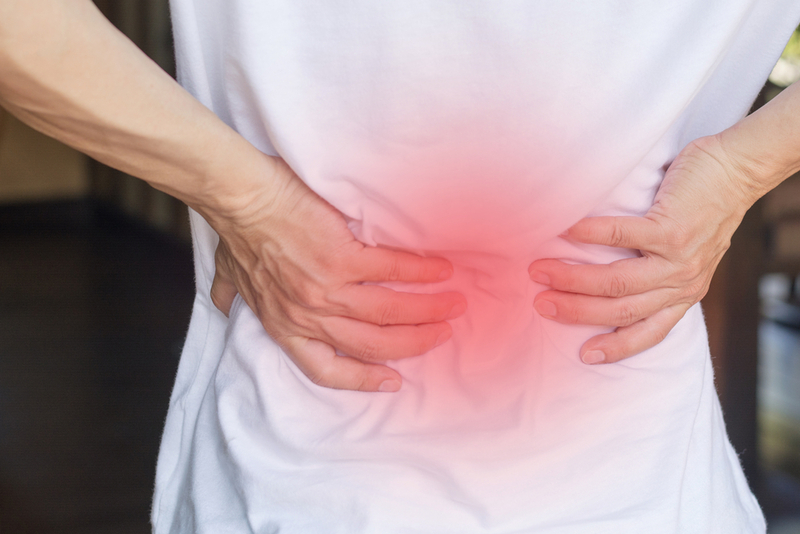 The pain typically affects the hips and the lower back. The first step in relief for sciatic pain is identifying what doesn’t move. Certified strength and conditioning specialist Dr. Mark Kovacs lends his expertise. He reveals the most effective way to find relief of sciatica pain is to stretch. Specifically, you need to rotate your hip externally. Here is a list of six easy exercises to rotate the hip. Do these, and Dr. Kovacs suggests you’ll find sweet, sweet relief. This stretch loosens the piriformis and gluteal muscles. When these muscles are inflamed, they will press against the sciatic nerve. Lying on your back, extend your legs and flex your feet upwards. Start with your right leg and bend it, clasping your hands around the right knee. Pull the leg gently in the direction of your left shoulder and hold for 30 seconds. Release your leg so it returns to the neutral or starting position. Repeat three times then switch and stretch your left leg following the same instructions. Remember to only pull your knee across as far as you can comfortably stretch. This stretch eases pain that is felt in the hamstring, commonly caused by sciatica. Find a slightly elevated surface such as a step, chair or stool to rest your right foot on. Flex your right foot until your leg and toes are straight. Keep your knee flexed if you tend to hyperextend your knees. Bend your entire body forward towards your foot. Don’t lift the hip of your raised leg. Ease it down as you bend. If you need help with this move, consider a yoga strap or elastic exercise band. You can put them under your left foot and over your right thigh. Hold the stretch for 30 seconds before repeating it on the left side. The farther you bend toward your foot, the deeper the stretch. Use caution that you do not overdo the stretch. Pigeon poses are very common in yoga and are intended to open up the hips. The first few times you try these, start with the reclining pigeon pose. You can work up to the forward and sitting pigeon poses after you are comfortable with this one. Lying on your back, bring the right leg straight up. Clasp your hands behind your thigh and interlock your fingers. Lift the left leg, putting the right ankle on the left knee. Repeat the exercise with the left leg. This exercise will stretch your lower back and glutes. Sitting on the floor, extend both legs in front of you. Put your right ankle on your left knee by gently bending your leg. Stretch forward, letting the upper body move towards your thigh. Hold between 15 and 30 seconds. Repeat the stretch on the other side. Gently move the right leg towards the front of your body and extend your foot to the left while your knee and lower leg remain on the floor, with your entire leg like an “L” shape. Gently stretch the left leg out behind you, gliding it on the floor, toes flexed to point away from you. Straighten upwards, balancing your weight on your hands. Exhale and lean forward over your bent right leg. A compression of the spine can trigger sciatic nerve pain. This stretch is designed to relieve spinal pressure by increasing the distance of the vertebrae. Sit on the ground, legs extended in front and feet flexed up. Place your right foot flat on the outside of your left knee by gently bending and guiding it over. Put your left elbow to the outside of the bent knee so you can turn to the right using the left elbow as leverage. Turn to the right, hold the stretch for 30 seconds and repeat a total of three times before switching legs. Don’t push too hard! Especially in the beginning. Dr. Kovacs recommends a program of gentle stretching to find relief from sciatica pain. He warns never to assume you should be as flexible as experts. Don’t try to live up to people on TV or in YouTube demonstrations. They have been doing these stretches for a long time. Exercises should gently stretch for relief of pain. They should not cause more pain and damage by overexertion. Physical Therapist Corina Martinez of the Dukes Sports Medicine Center is a member of the American Medical Society for Sports Medicine. She emphasizes that there isn’t any one exercise that will work for all sciatica pain. Dr. Martinez recommends adjusting each exercise to your individual preferences. That’s the best way to get the results you are looking for with sciatica stretches. Dr. Martinez also cautions against using any exercise program for more than a month. If you are still feeling pain, you should see an expert. Prolonged pain can be treated by a chiropractor, physical therapist or physician. These experts provide tailor-made exercise programs that will fit your needs.